Joaquin Phoenix Is Still Here, May Star in "Abraham Lincoln: Vampire Hunter"
Fresh off two years playing a zombie in real-life, Joaquin Phoenix is up for a role as mentor to emancipator/vampire killer Abe Lincoln. Phoenix is said to be the first choice to play Henry Sturges in "Abraham Lincoln: Vampire Hunter," according to Deadline, an adapted from the Seth Grahame-Smith novel of the same name. The title role of our 16th president was awarded last week to Benjamin Walker, most recently seen playing our seventh president in the Broadway musical "Bloody Bloody Andrew Jackson." 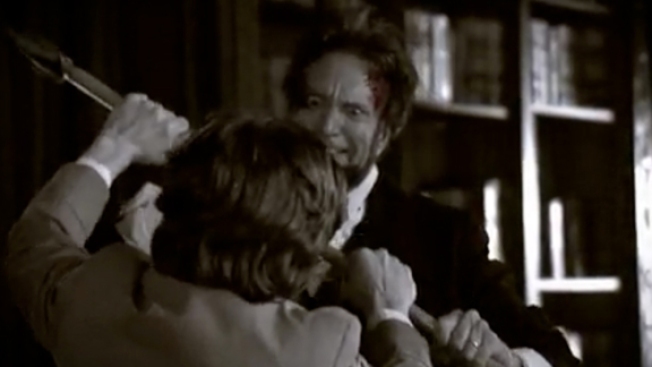 In the book, Sturges saves young Lincoln from a vampire attack, nurses him back to health and teaches him how to combat the evil scourge of bloodsuckers terrorizing America. This comes as great news if for no other reason that it would seem to signal that Phoenix is done with the mockumentary nonsense that put his career on hold for two years and resulted in "I'm Still Here"